Someone’s after his little boy. She has one chance to save them both. When his young son is nearly kidnapped, assistant district attorney Colton Gale needs a Christmas refuge—and a live-in bodyguard. Though former military police officer Jasmine McNeal fights to shield them 24/7, she refuses to get attached. But growing close to the little boy and his father might be her only shot at keeping them alive—and becoming a family beyond the holidays. Colton Gale is a high profile prosecutor whose wife has recently died. His young son has not spoken a word since her death. Someone tries to kidnap his son so he needs to hire a bodyguard to guard them. Jasmine McNeal, is a bodyguard after several tours in Afghanistan as a military officer. She has moved into a house next to Colton’s property in Murphy. What a surprise to discover the agency he contacts recommends her to be their bodyguard. This book is filled with adventure, twists and turns, humor, romance, captivating writing and a riveting storyline. This is a book you will not be able to put this down. The reader is drawn into the story experiencing what the characters see, hear and feel. A very entertaining suspenseful murder mystery that takes off quickly and keeps an invigorating pace right up to its dramatic conclusion at Christmas. I volunteered to read Bodyguard for Christmas. Thanks to the author for the opportunity. My opinion is my own. I've loved this entire series and am sad that it's over but this book was a great "final book"!!! The author did a great job of conveying the deep grief one feels with the loss of a spouse and also a mother of a toddler. Little Liam was so sweet but he was so traumatized by the sudden death of his mother and it comes through in the writing of this book. In almost every page I wanted to hug the little guy! His daddy was the same way! That's why when he comes home and sees Liam in the process of being kidnapped, he immediately does everything possible to stop it! He's NOT going to lose the only family he has left! Thankfully, he thwarts that attempt but knows he needs to hire a bodyguard because he still has to work AND he needs to move out of Atlanta and to a smaller town where he has a cabin. He's an assistant district attorney so he knows he's made enemies. Jasmine is a top rate bodyguard, even though she doesn't look like it. She goes into this assignment like all the others before - guard and protect but don't get close to the people. She never does.....until this time. Why is it different? She's never liked or bonded with children so why is she this time? It's just a great book with lots of action and twists! I recommend it! Even if you haven't read the first two books in the series, you'll still enjoy this book!! Hate to see this series end! 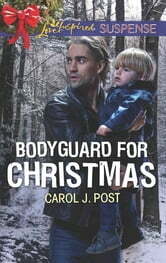 Bodyguard for Christmas by Carol J. Post is the third book in her Murphy, NC series of inspirational suspense romance books. And right from the beginning, readers are drawn into Colton and Jasmine's story. The author has written a plot that crackles with energy and tells an entertaining and suspenseful story--a fast-paced story that keeps the reader on the edge of the seat wondering how things are going to turn out. Along with the suspense and romance, the author has woven a subtle thread of faith that reminds readers that faith in God brings comfort and protection. The characters are intense, realistic, evocative. Jasmine, bodyguard extraordinaire, and yet searching for that all-elusive peace of mind and heart. She was expecting a typical assignment when assigned to Colton and his young son. But she found a whole lot more than typical. Colton, newly widowed, is making an unanticipated move. Would it bring a sense of belonging or just be an uncertain future, hiding from those who wanted him dead? You definitely are rooting for the good guys to catch the bad guys (and who are the bad guys anyway!) and to catch them in time! 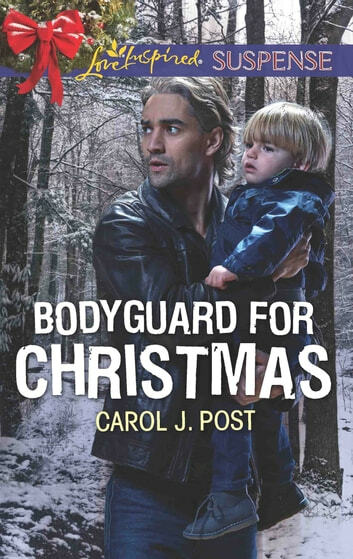 If you love exciting and suspenseful mysteries with lots of twists to the plot, Bodyguard for Christmas will keep you reading until the very last page. I received a complimentary copy of the book from the author. A review was not required and the opinions are my own.